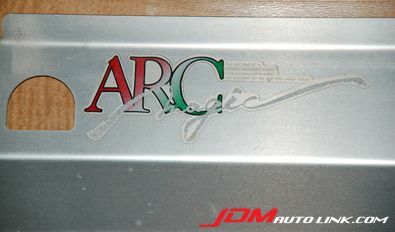 We have a used mint condition ARC Air Diversion Plate for the Mitsubishi Lancer Evolution 7 and 8 (CT9A). The ARC Air Diversion Plate forces more air through the radiator to reduce engine temperature. Air will usually escape through the top and bottom of the radiator, limiting the efficiency of the radiator. The ARC Air Diversion Plate fits over the top of the core support and the radiator. If you are interested,email us at sales@jdmautolink.com for a quote including shipping to your location.